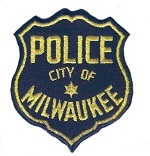 The MRPA-Milwaukee Retired Police Association-began in 1975 when a couple of retired cops decided to form a group in order to keep in touch with each other and now, in our 43rd year, we have almost 1,100 members from coast to coast. 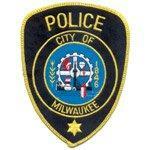 The MRPA began in 1975 in order for retired Milwaukee police to keep in touch with each other. We are celebrating our 43rd anniversary with over 1100 members ranging in age from 42 to 98. Membership in the MRPA is open to all MPD personnel who have retired or who have reached 25 years of service . This includes not only officers but members of MPD’s civilian staff as well as spouses of deceased MPD members. We meet the second Wednesday of the month except January, June through August and December at the Todd Legion Post on 92nd and Beloit at 1 PM. At 10:30 AM some members come to play sheepshead before the meeting. We provide a free lunch, beer and soda. We have casino bus trips, fish frys, an annual golf outing, a Christmas dinner/dance and various entertainment and speakers. “The Call Box”, our newsletter, will allow you to stay in touch with your friends scattered all over the country and keep you informed of the latest news of importance to you as a retiree of MPD. To join, download the application and send it in or attend a monthly meeting. Looking back, moving forward, keeping in touch, and most importantly, caring for each other. Copyright © 2019 Debbie Brahm. All rights reserved.